​July 17, 1929: Born in Ottawa the only child to parents Eileen (Starrs) and Henry “Harry” Bedard. 1936 – 1944: Primary School: Corpus Christi School, Ottawa, Ontario. Fr. Bob attended this school until the end of grade 9. 1944 – 1948: High School: St. Patrick’s College High School, an all-boys school run by the Oblates of Mary Immaculate. It was during grade 12 at age 17 in 1947 that he had a significant spiritual turning point in his life at a Lenten Mission given by the Redemptorist Fathers at his parish, Blessed Sacrament. He was already a convicted Catholic but at this point he made a decision to stay away from sin and pursue holiness in his life. 1948 – 1951: College: Three Year Liberal Arts at St. Patrick’s College. The high school he was at offered a small liberal arts program in the same building so he decided to stay there. In his first year, when he was 19, the pastor at Blessed Sacrament, Monsignor Bert Armstrong preached on a line from the Gospel of the day: “What does it profit a man to gain the whole world and suffer the loss of his own immortal soul?” As he meditated on this question for his own life, he heard himself saying, “I think I’d like to spend my life making that question as clear as possible to as many people as I can.” This led him to begin discerning the priesthood as the logical place for a man who wanted to present that important question from the Scripture to everyone. 1951 – 1955: Seminary: St. Augustine’s in Toronto. The most enriching part of the seminary experience for Fr. Bob was the lasting friendships he formed while there that carried on into his years of priesthood. There were 55 men ordained in ’55. June 6, 1955: Ordained at his home parish of Blessed Sacrament in Ottawa, the same parish where he was baptized, made first Confession, first Communion and was confirmed. He was ordained by Archbishop Marie-Joseph Lemieux, OP. July 1955 – September 1958: First Assignment: Assumption Parish in Eastview (now Vanier). He was involved in youth ministry taking charge of the altar boys, Scouts, Cubs, Guides and Brownies. He also began a Catholic Youth Organization and created other opportunities to be with young people. He formed a small group of young men aged 12 to 16 to encourage vocations to the priesthood. 1958: First Teaching Assignment, St. Pius X preparatory seminary. This was a new initiative of Archbishop Lemieux for the English sector of the diocese. At first reluctant, Fr. Bob was unable to refuse the Archbishop: “He was so kind and good, I just couldn’t say no”. Summers 1959 and 1960: Teachers College, Ontario College of Education in Toronto. This had to be completed for him to continue as a teacher at St. Pius X. 1961: Principal at St. Pius X. The population of the school had grown to 220. He continued to teach as well as taking on the principal’s tasks. 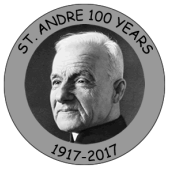 He was principal for five years and then continued teaching, settling into the courses of grade 13 Religion, Canadian History, with grade 12 English for the rest of his time at St. Pius X.
August 1974: Attended his first prayer meeting. He went because he had been running into a number of people who spoke to him about a revival of personal faith they’d experienced through “charismatic renewal”. At the end of the meeting he said to himself, “It’ll be a frosty Friday before I set foot in one of those meetings again.” He later said that this became one of his “famous last words”. March 1975: Baptism in the Holy Spirit at a Life in the Spirit Seminar. Fr. Bob prayed for the gift of prayer as he hadn’t prayed seriously at that point for some years. He recounted that the experience of being prayed over was nothing unusual, but the next morning he woke up with a burning desire to pray that he had never experienced before. This was a watershed experience in his life. The changes he experienced were both intensive and extensive. May 1975: First Prayer Meeting at St. Pius X high school. This came into being as a result of Fr. Bob challenging his religion students to give God a chance by saying, “Lord, if you’re real, show me.” As a result of this the students wanted to pray together, so Fr. Bob initiated the prayer meeting. 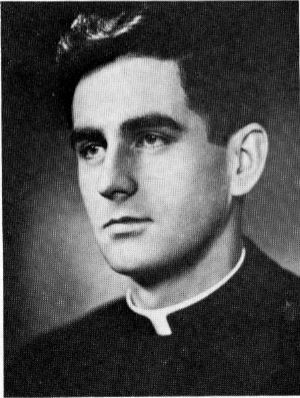 1975: Fr. Bob coaches the Pius X boys’ basketball team to the Eastern Ontario high school championships. 1975 – 1978: Appointed official Ottawa Archdiocesan Liaison to the Charismatic Renewal by Archbishop Plourde. September 1977 – 1981: Chaplain of New Jerusalem Community. He lived in a community household of men. The whole community had regular common prayer times, evening Mass most days, and a Saturday work crew. 1982 – 1984: Founded the Ottawa Renewal Centre and launched The Lamplighter Newsletter to exhort and teach members of the renewal. He did this to fulfill Archbishop Plourde’s request to put the gifts of “charismatics” at the service of the wider Church. The centre offered services including: daily Mass, a lending library, inner healing prayer, counseling, and a venue for meetings. 1983: Visits Medjugorje. Fr. Bob was invited into the apparition room with the children. He described his emotional and physical state afterwards as “euphoric, even ecstatic”. 1982 – 1984: Speaking, touring, and conferences across Canada and the U.S. Fr. Bob spoke extensively about the renewal of the Church including on his vision of parish renewal, devotion to Mary, and developing a personal relationship with the Lord. January 1984: Fr. Bob began meeting with three young men to provide guidance and spiritual support during seminary formation. They met for personal faith sharing and informal prayer in common. Fall 1984: Appointed as pastor of St. Mary’s Parish by Archbishop Plourde and mandated to implement a vision for parish renewal based on his extensive experience and leadership in Charismatic Renewal in Canada. May 1985: Foundation of the Companions of the Cross. Experiencing a profound sense of God’s presence and blessing upon them and a genuine fraternal love for one another as “brothers” in the Lord, it seemed evident to the group, that the Holy Spirit was leading and calling them to become a new and distinct community of priests in the Church. As a fruit of their common prayer, sharing and discernment, a vision from the Lord had crystallized for ministry and a common shared life. Fr. Bob emerged within the group as its founder, being both the one who articulated the unfolding vision and the natural leader around which the group gathered. He received permission and encouragement from Archbishop Plourde to proceed with the foundation of the community. 1986: The new community of seminarians and priests adopted the name Companions of the Cross, after Fr. Bob used the phrase in a homily in preparation for the Feast of the Triumph of the Cross. 1986 -1990: St. Mary’s parish experienced a notable degree of growth, renewal and revitalization. The new community of seminarians and priests also experienced substantial growth. In 1990 although the parish remained under the pastoral leadership of the community, Fr. Bob resigned as pastor of St. Mary’s in order to devote himself full-time to the leadership of the Companions of the Cross. February 11, 1988: After having reviewed the proposed statutes, Archbishop Plourde granted the Companions of the Cross recognition as a Public Association of the Faithful. At about this time, a group of lay people in spiritual and active association with the Companions of the Cross began to form the Lay Associates. 1992: Fr. Bob and Fr. Roger Vandenakker began hosting Food for Life, a weekly, evangelistic, Catholic television ministry broadcast across Canada and parts of the USA. June 1994: There being sufficient evidence of a distinct charism, of continued growth and overall stability, Archbishop Marcel Gervais of Ottawa agreed to have the Companions of the Cross move towards becoming independent as a Society of Apostolic Life. The community begins a series of assemblies to discern and write the Constitutions and Rules. 1996: Fr. Bob goes on health leave suffering from a variety of medical difficulties. He later returns to assume the duties of Director of Admissions. September 1997: Archbishop Gervais permits the community to begin living under new Constitutions and Rules on an experimental basis. September 28, 1997: In the name of the Holy Father, Archbishop Gervais awarded the Pro Ecclesia et Pontifice Cross to Fr. Bob. 1999: The Constitutions and Rules are revised and approved by Archbishop Gervais. With his permission the community accepts the invitations of several bishops to establish the first Companions of the Cross households and ministries outside of the Archdiocese of Ottawa. The community accepted responsibility for St. Timothy’s Parish and York University Catholic Chaplaincy in Toronto, Ontario and Queen of Peace Parish and the Catholic Charismatic Center in Houston, Texas. 2000: The Archbishop appoints Rev. 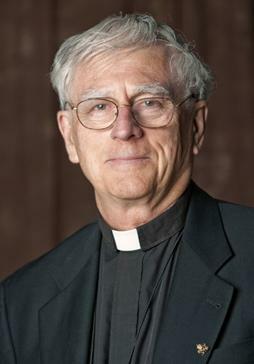 Everett MacNeil as Episcopal Vicar to oversee the transition of the community to a Society of Apostolic Life. Fr. MacNeil continued in this capacity until it was official. May 2003: Having received the Holy See’s approval, Archbishop Gervais issued the decree establishing the Companions of the Cross as a Society of Apostolic Life. June 6, 2005: Fr. Bob celebrates his 50th anniversary of priesthood. January, 2009: Fr. Bob is hospitalized with Miller Fischer Syndrome, subsequently numerous other medical issues emerge, including dementia. When released from hospital Fr. Bob requires 24-hour care and is moved to Carlingview Manor. 2010: 25th Anniversary of the Companions of the Cross. Fr. Bob celebrates 55th anniversary of Ordination. October 6, 2011: Fr. Bob passes away peacefully surrounded by his Companions of the Cross family. October 11, 2011: Prayer Vigil, Visitation and Wake Service held at St. Mary’s parish in Ottawa. October 12, 2011: Funeral Mass for Fr. Bob Bedard at Notre Dame Basilica in Ottawa, Archbishop Terrence Prendergast, SJ presided. His Holiness, Pope Benedict XVI is represented by Archbishop Lopez Quintana, the Papal Nuncio to Canada. The Cathedral was full to capacity. May 4, 2012: Entombment at Hope Cemetery in South Ottawa.